What is Scarecrow B.I.R.D. Tab™? Scarecrow B.I.R.D. 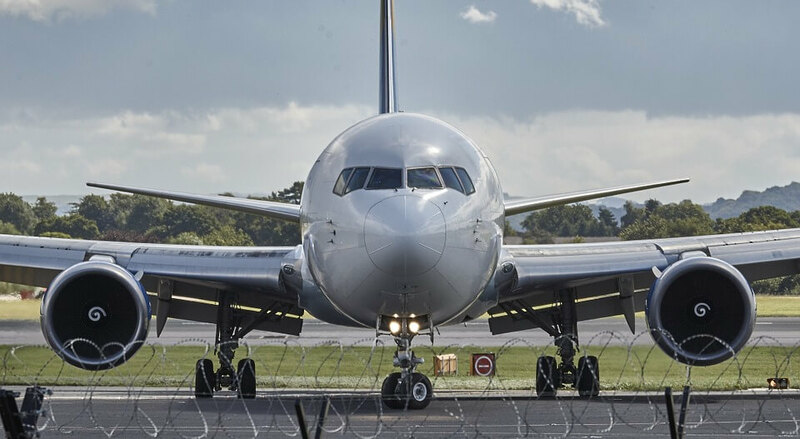 Tab™ offers effective airside bird dispersal using bio-acoustics; it is both a highly effective bird dispersal system and a data logging and analysis system. Scarecrow B.I.R.D. Tab™ has been designed in line with the ICAO recommended “best practices” for aerodrome operators. Using a rugged tablet touch-screen pc, a GPS receiver and data collection software, Scarecrow B.I.R.D. Tab™ creates a complete record of dispersal activity and wildlife observations. The system creates an audit trail featuring date, time, location, operator, species, flock size, attractant, dispersal direction, and method of dispersal utilised. Scarecrow B.I.R.D. Tab™ therefore establishes proof of dispersal procedures completed. 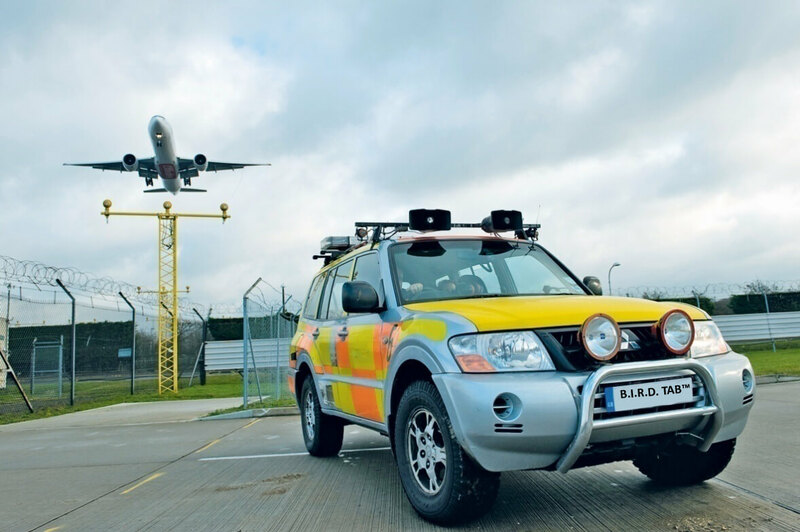 With the GPS function logging the vehicles airside position a complete ‘due diligence’ record is obtained, complimented by photographic evidence where needed. Scarecrow B.I.R.D. Tab™ is easy to use. 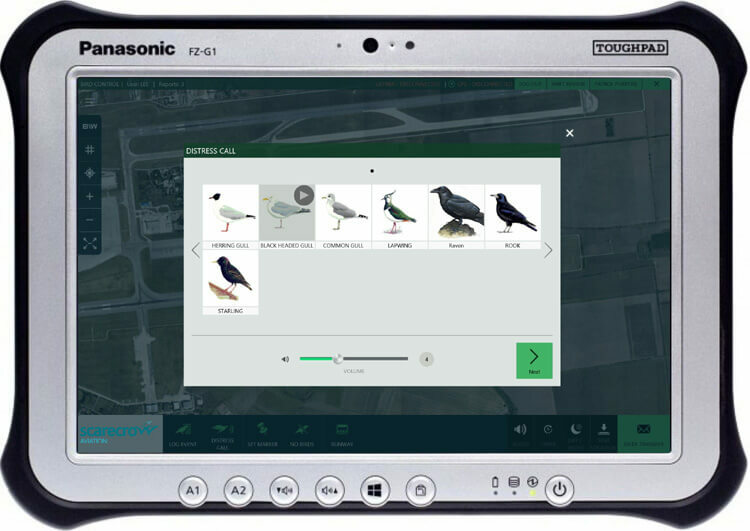 The tablet can display a database of bird recognition information, and includes bird illustrations to aid identification. Scarecrow B.I.R.D. Tab™ is a complete system. A high quality rugged tablet PC is at the heart of the system; together with a pre-loaded processor with up to 20 bird distress calls as selected by the client. Two vehicle roof mounted loudspeakers, mounting kit and a fist microphone for live announcements are all included. USB flash-drives are provided for captured data to be transferred to the airport analysis system. As an alternative, there is also an automatic Wi-Fi option for data transfer. This screen will be displayed when using the distress calls to carry out the bird dispersal process. The illustrations and touch-screen provides easy specie selection; the system will automatically display first the most frequently observed bird species based on historic activity. This helps to create the fastest response opportunity. Controls: 10” touch-screen ‘rugged use’ tablet personal computer with a HD daylight readable 10 point multi touch and digitizer screen: 2-800 nit (also has “night mode” viewing option). Includes 3MP camera. Image Mapping: Scarecrow B.I.R.D. 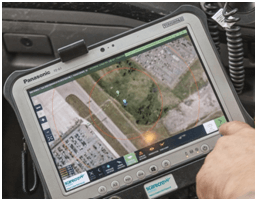 Tab™ software incorporates a map provided by the airport, allowing airports to subsequently analyse what activities have occurred in each sector of the airfield. By selecting combinations of criteria (species, operator, date, range etc) it is possible to see how many actions have occurred in each grid reference. Sectors can be set up as standard grid sizes as required or bespoke shapes. Report Generator: The Reporting System will validate dispersal procedures completed. The system GPS function logs the vehicles airside position at the time. 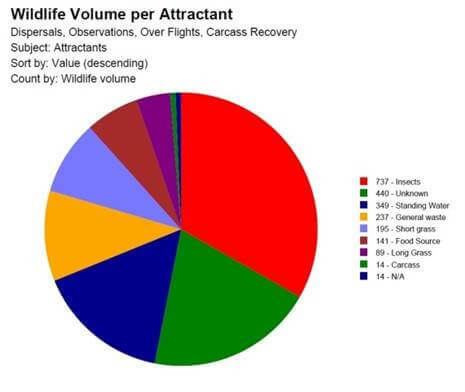 Reports can be generated to highlight what happened on a particular day, through to migratory patterns, seasonal trends, monthly or yearly reports. These can include, for example, specie/wildlife activities, entire population activities, control methods used, effectiveness of control methods, operational activity – everything can be filtered to obtain whatever specific information is required. Firearm use logging is also a standard feature. A dispersal log cannot be confirmed until all the required information has been entered. Settings: Personalisation of the system is controlled and edited in the Scarecrow B.I.R.D. Tab™ Reporting Software. Sub-options can also be entered to allow for more accurate/precise data or to meet airport specific needs.